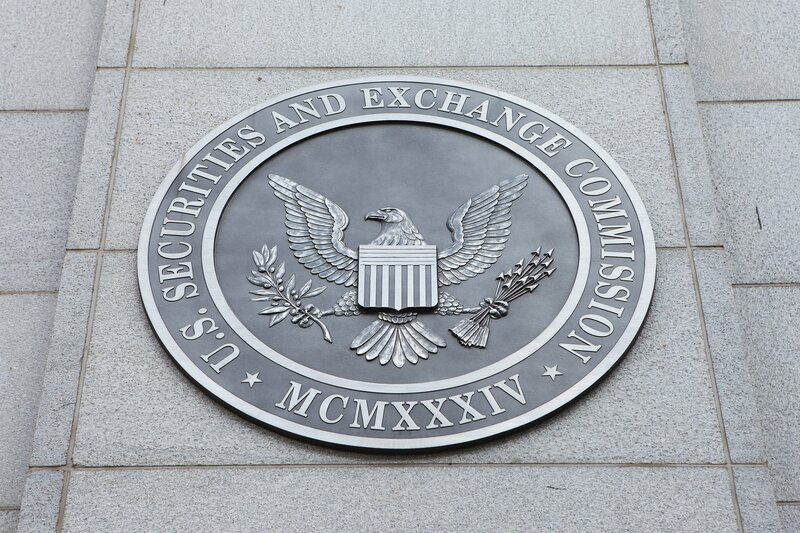 There were 42 transactions filed with the SEC last week. 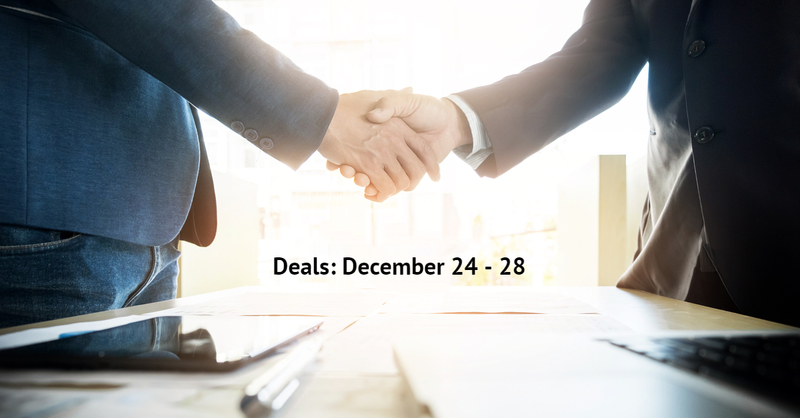 Congratulations to all of the corporations and law firms that selected our transactions services, including Allied Motion Technologies Inc w/ Bond, Schoeneck & King, PLLC, Bio-Path Holdings Inc w/ Haynes and Boone, LLP, Happynest Reit Inc w/ Herrick, Feinstein LLP, Biohitech Global Inc w/ Kane Kessler, P.C., Ocular Therapeutix Inc w/ Wilmer Cutler Pickering Hale and Dorr LLP, Bio-Path Holdings Inc w/ Winstead PC, Bio-Path Holdings Inc w/ Winstead PC. Click here and opt-in to receive this weekly summary via email. The SEC posted an alert and guidance to filers about the impact of the government shutdown. During the shutdown, the EDGAR system will remain operational. 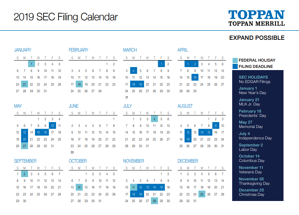 Filings can be submitted, processed and disseminated. However, beginning December 27, 2018 the SEC has a limited number of staff available to assist with urgent issues. Many federal employees have been furloughed during the shutdown, including from the SEC. The agency’s plan outlines specific details and essential services. 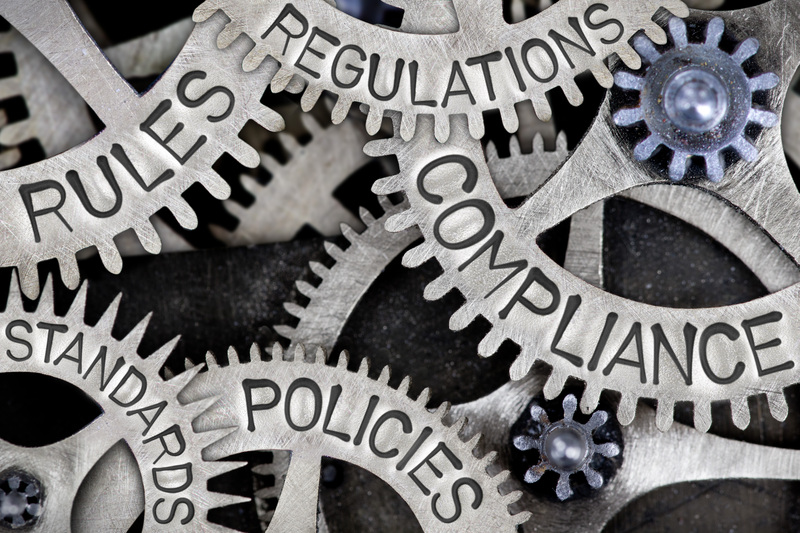 The SEC states their goal is to maintain their threefold mission: protect investors, maintain fair and order markets, and facilitate capital formation. 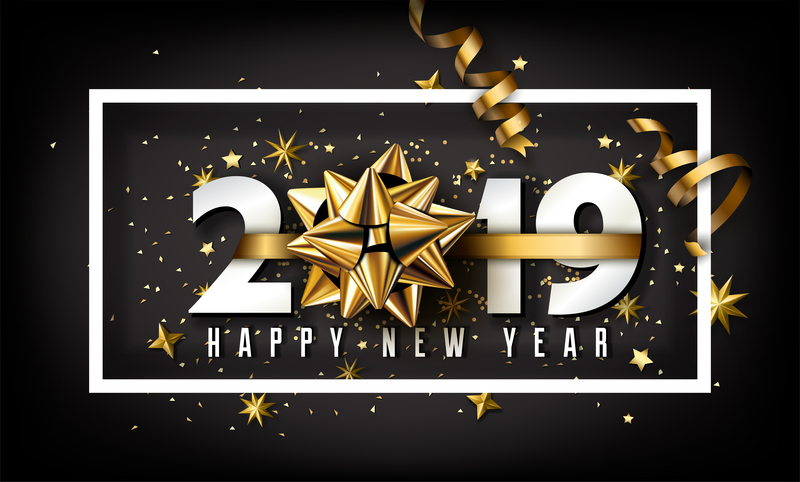 Due to New Year's Day, the SEC is closed Tuesday, January 1, 2019. No filings can be received. 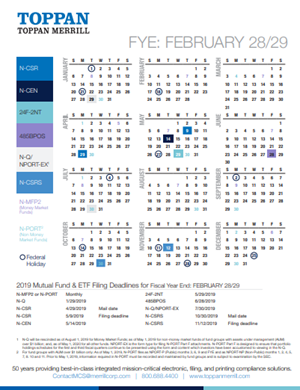 Filings submitted after 5:30 pm ET, Monday, December 31, 2018 will receive a filing date of Wednesday, January 2, 2019 and will be posted to the public on January 2, 2019. 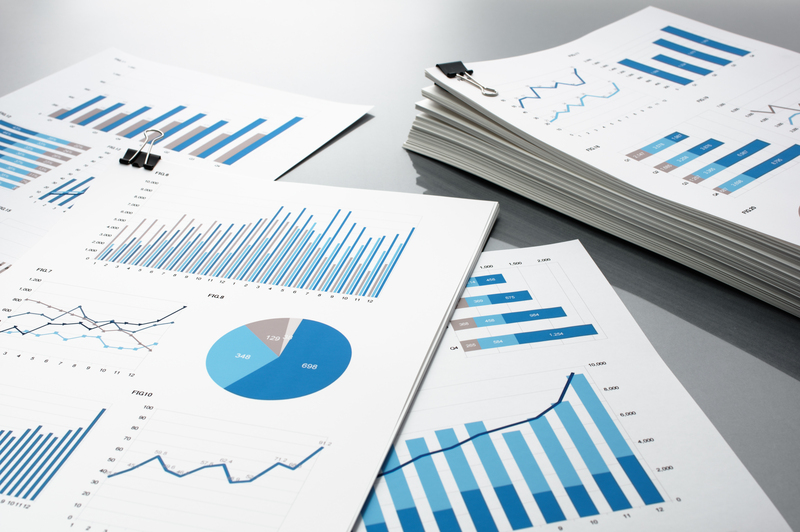 What percent of disclosures in the primary financial statements of SEC registrants are unique to the company? According to a recent SEC staff analysis, the answer is 9% for U.S. GAAP filers and 16% for IFRS filers. 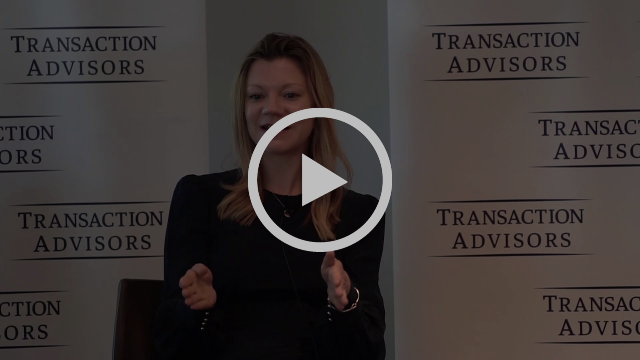 This session at Transaction Advisors M&A Conference at the University of Chicago explored a range of challenges when deal negotiations are leaked to the media, investors, or employees. During the second half of the discussion, the participants discussed the use of intentional leaks to drive specific actions and apply pressure on a target company, including process and legal issues that may apply in various jurisdictions. Moderator Brian Hwang, Director of Strategic Business & Corporate Development at Intralinks, reported on a study his firm is conducting regarding leaks. 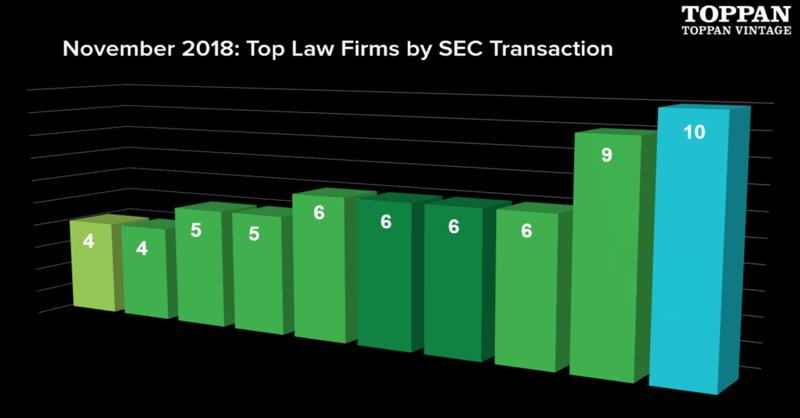 There were 64 transactions filed with the SEC last week. Congratulations to all of the corporations and law firms that selected our transactions services, including Cc Real Estate Income Fund-T2 w/ Clifford Chance US LLP, Epsilon Energy Ltd w/ DLA Piper LLP, Twin River Worldwide Holdings Inc w/ Dover Downs Gaming & Entertainment, Inc., Twin River Worldwide Holdings Inc w/ Drinker Biddle & Reath LLP, Athena Spinco Inc w/ Fried, Frank, Harris, Shriver & Jacobson LLP, Fundrise Growth Ereit Iii Llc w/ Goodwin Procter LLP, Fundrise Income Ereit Iii Llc w/ Goodwin Procter LLP, Athena Spinco Inc w/ Jones Day, Twin River Worldwide Holdings Inc w/ Jones Day, Rmg Acquisition Corp w/ Latham & Watkins LLP, Yieldstreet Multi-Asset Fund Inc w/ Schulte Roth & Zabel LLP, Athena Spinco Inc w/ Sullivan & Cromwell LLP, Rmg Acquisition Corp w/ Weil, Gotshal & Manges LLP. 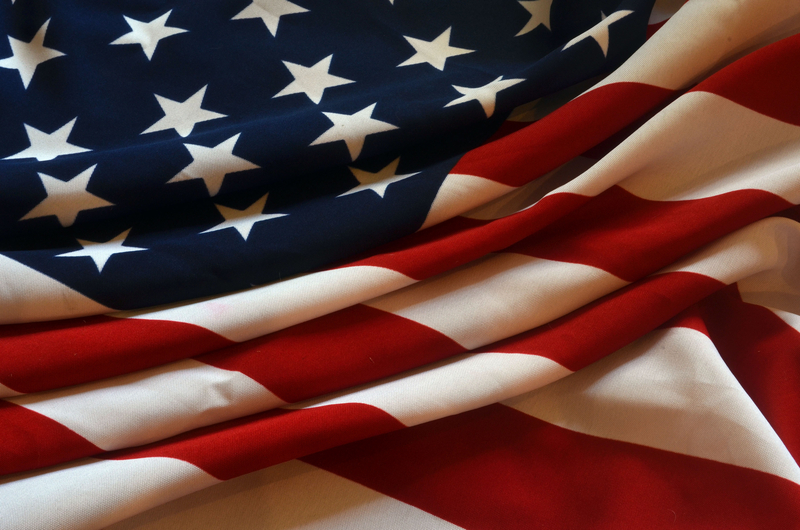 Ripple effects from the U.S. government’s recent tariff actions continue to impact the global economy. 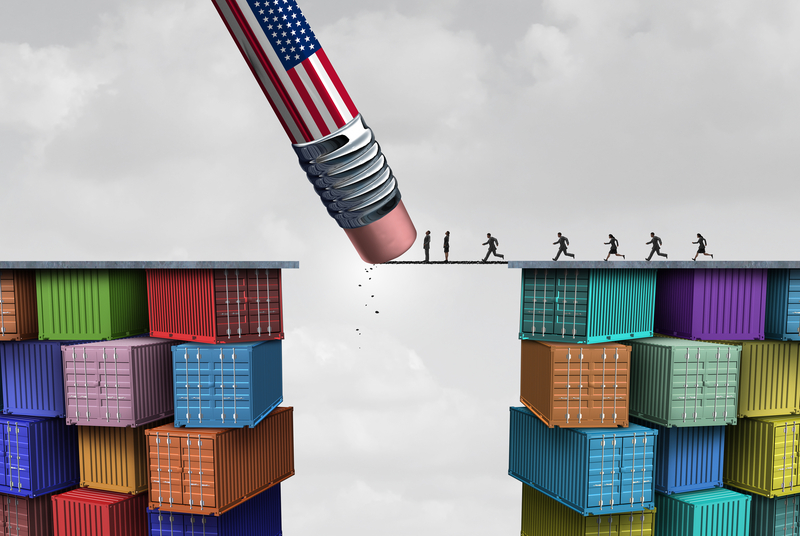 In turn, these volatile trade policies have forced dealmakers to reassess the risks of an increasingly political cross-border deal environment. But with M&A on pace to break last year’s value total, how will escalating protectionism affect investor sentiment heading into 2019? To find out how deal practitioners are responding to the changes in global trade, Mergermarket on behalf of Toppan Vintage spoke with six experts for their insights. Due to Executive Order, the SEC is closed Monday, December 24 IN ADDITION TO being closed for Christmas on Tuesday, December 25, 2018. No filings can be received on either day. Files submitted after 5:30 pm ET, Friday, December 21, 2018 will be posted to the public on December 26, 2018. 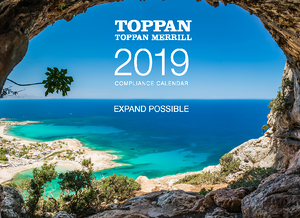 To find out what market observers see as the best ways to address these matters, Mergermarket on behalf of Toppan Merrill spoke with four experts. 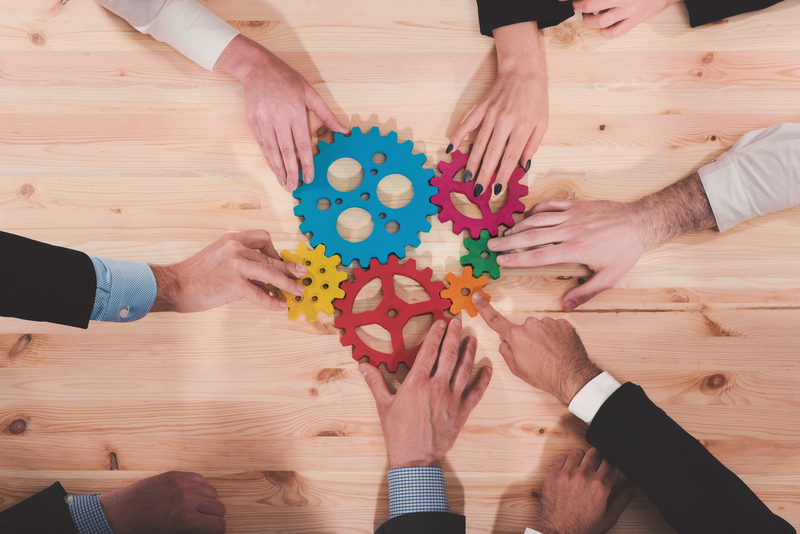 Acquiring a start-up is becoming a popular way for large corporations to modernize internal practices, bring in technology and connect with younger customers. 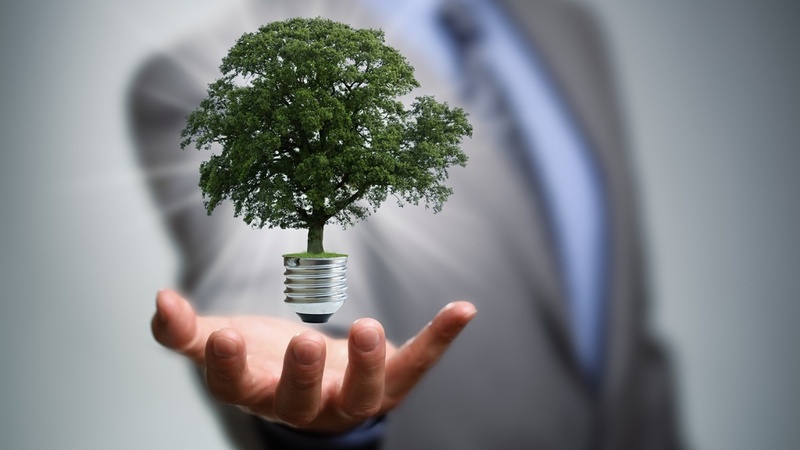 Integrating a start-up into a large conglomerate, however, needs to be done with care to deliver results. Corporate history is littered with examples of large corporates acquiring fast-growing start-ups, only to see them struggle post-acquisition because of misunderstandings, unrealistic expectations and cultural incompatibility. To understand how large companies can effectively integrate fast-growing but culturally different start-ups, Mergermarket on behalf of Toppan Vintage spoke with three experts for their insights. 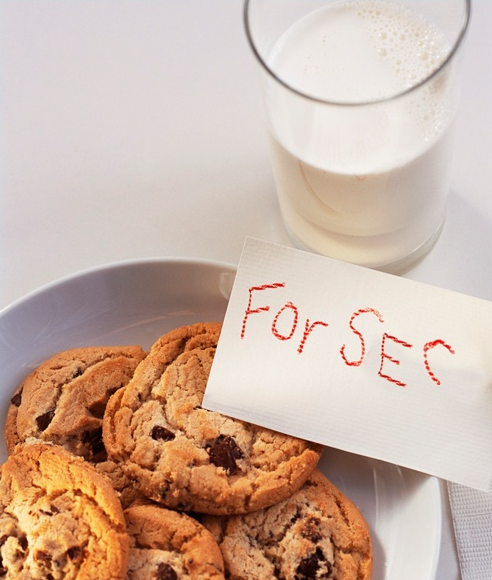 There were 47 transactions filed with the SEC last week. Congratulations to all of the corporations and law firms that selected our transactions services, including Cimarex Energy Co w/ Akin Gump Strauss Hauer & Feld LLP, First Bancshares Inc w/ Alston & Bird, LLP, Cimarex Energy Co w/ Arnold & Porter Kaye Scholer LLP, Enphase Energy Inc w/ Arnold & Porter Kaye Scholer LLP, Enphase Energy Inc w/ Arnold & Porter Kaye Scholer LLP, Ready Capital Corp w/ Clifford Chance US LLP, Eyenovia Inc w/ Duane Morris LLP, Neos Therapeutics Inc w/ Goodwin Procter LLP, Asia Times Holdings Ltd w/ Hunter Taubman Fischer & Li LLC, Weatherford International Inc w/ Latham & Watkins LLP, Asia Times Holdings Ltd w/ Ortoli Rosenstadt LLP, Ready Capital Corp w/ Owens Realty Mortgage, Inc., Sorrento Therapeutics Inc w/ Paul Hastings LLP, Cimarex Energy Co w/ Resolute Energy Corp., First Bancshares Inc w/ Silver, Freedman, Taff & Tiernan LLP, Sorrento Therapeutics Inc w/ Sorrento Therapeutics, Inc., Ready Capital Corp w/ Vinson & Elkins L.L.P., Eyenovia Inc w/ Wyrick Robbins Yates & Ponton LLP. This comprehensive academic research paper studies the effect of corporate cultural similarity on merger decisions and outcomes. Using the similarity in firms’ corporate social responsibility (CSR) characteristics to proxy for cultural similarity, the authors find that culturally similar firms are more likely to merge. Moreover, these mergers are associated with greater synergies, superior long-run operating performance, and fewer write-offs of goodwill. This evidence is consistent with the notion that cultural similarity eases post-deal integration. The SEC recently published its draft strategic plan for 2018-2012 (read the PDF here). 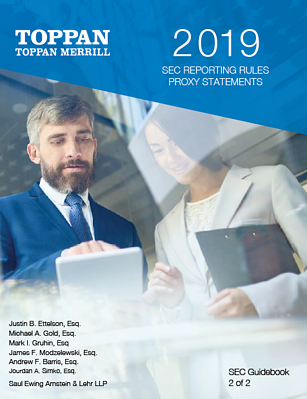 In the plan, the SEC reiterates its commitment to modernizing SEC filers’ financial data in ways that improve the ability of both Wall Street and Main Street investors to make informed investment decisions. 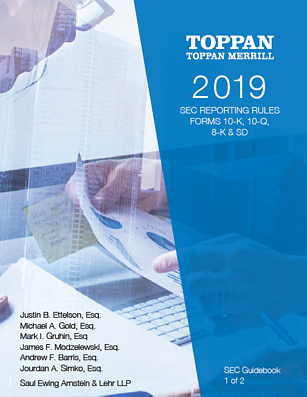 As investors increasingly make investments informed by extensive data analytics and executed through algorithms on electronic platforms, it’s imperative the SEC keep pace with the evolving capital markets. There were 37 transactions filed with the SEC last week. Congratulations to all of the corporations and law firms that selected our transactions services, including Pareteum Corp w/ Cooley LLP, Pareteum Corp w/ iPass Inc., Farmmi Inc w/ Kaufman & Canoles, P.C., Merchants Bancorp w/ Krieg DeVault LLP, Inspire Medical Systems Inc w/ Latham & Watkins LLP, Simply Good Foods Co w/ Perkins Coie LLP, Comtech Telecommunications Corp w/ Proskauer Rose LLP, Inspire Medical Systems Inc w/ Shearman & Sterling LLP, Majesco w/ Sheppard, Mullin, Richter & Hampton LLP, Pareteum Corp w/ Sichenzia Ross Ference LLP, The Rmr Group Inc w/ Skadden, Arps, Slate, Meagher & Flom LLP, Mvb Financial Corp w/ Squire Patton Boggs LLP, U.S. Well Services Inc w/ Winston & Strawn LLP, Waitr Holdings Inc w/ Winston & Strawn LLP. As subject matter experts in transactions i.e. 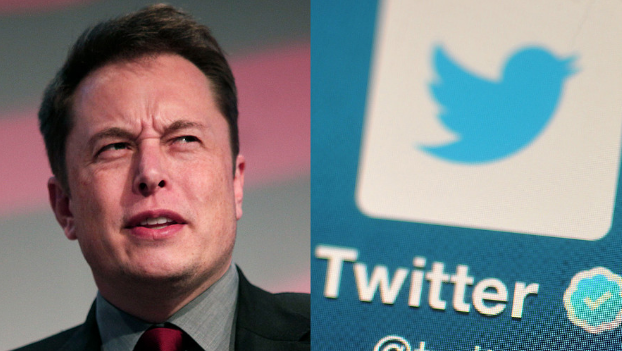 IPOs and M&A, we carefully track the capital markets dealflow… daily, weekly and monthly. If you would like to be emailed the week’s transactions (every Monday afternoon), fill out the quick form on this page. Continue on to view November's top law firms. The IFRS Taxonomy 2018 is changing. 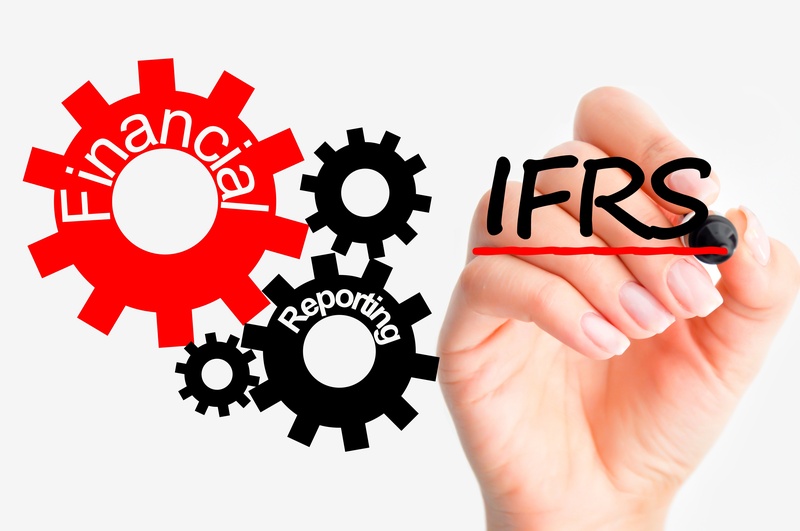 The IFRS Foundation has proposed updates to the taxonomy and has made the changes available to the public for comment. 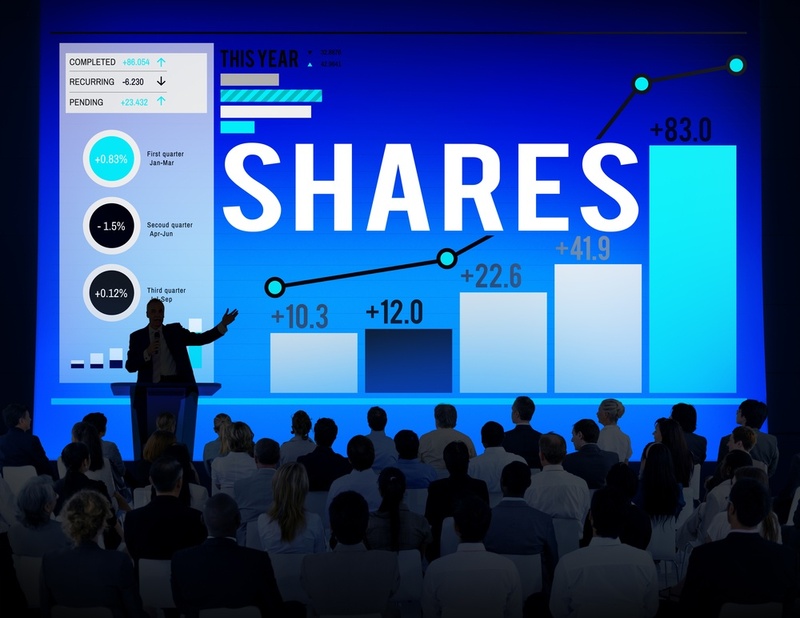 With the proxy season looming, companies need to shift focus to the strategic content development and design of their shareholder communications, in trend with the evolution of proxies as compliance documents to communication tools. In honor of former President George H. W. Bush, the SEC is closed Wednesday, December 5, 2018. No filings can be received. Files submitted after 5:30 pm ET, Tuesday, December 4, 2018 will receive a filing date of Thursday, December 6, 2018 and will be posted to the public on December 6, 2018.